Adam is an established comedian in Melbourne. His shows at Adelaide Fringe Festival, Newcastle Fringe Festival and Melbourne International Comedy Festival are always very well received. This year Adam is presenting Best Daze of My Life at The Carlton Club. 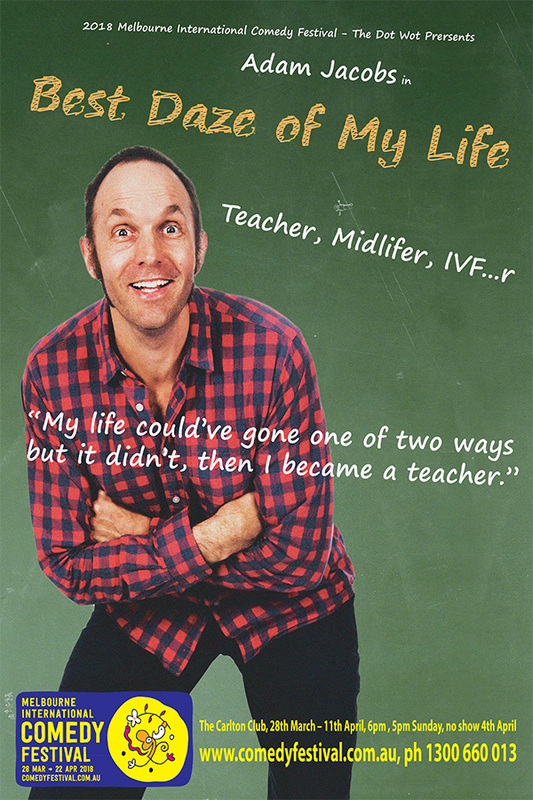 It’s a show about school – old and new, teaching, midlife strife, IVF and everything in between. His shows are always a lot of fun and he would love to see you there. “Life could have gone one of two ways, but it didn’t, then I became a teacher.” Adam Jacobs.